Description Survival Frog is the largest and most trusted online source for survival and preparedness products. Since 2009, Survival Frog has evolved into the industry leader in preparedness, camping and survival gear sold online. SurvivalFrog.com caters to a vast audience with over 500 products hand-selected to appeal to beginners and experts alike. 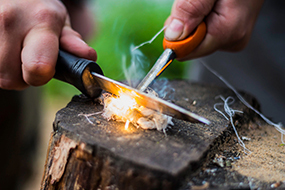 Access to the most advanced survival gear at affordable prices allows shoppers to research and purchase a complete supply of survival essentials in one location. Trusted brands like LifeStraw, Petzl, Mountain House and BioLite will ensure your survival supplies perform when you need them. “Prepping Made Easy” is Survival Frog’s motto, and your shopping experience and customer support will prove that being prepared doesn’t have to be difficult.